The 2018 Hyundai Accent is an entry-level vehicle that doesn’t look entry level. 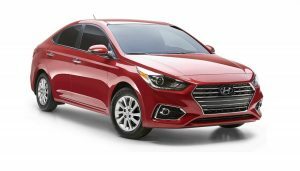 The 2018 Hyundai Accent is the fifth generation of the Korean car company’s subcompact sedan and hatchback. This version of the ride is not just new, it’s better. Obviously targeting younger drivers who want value and appeal, the Hyundai Accent delivers in appearance, ride, features and performance. The 2018 Accent is a new approach to Hyundai’s entry-level model. The challenge all subcompacts face is delivering more than four wheels and an engine when economy is a key driver in the driver’s decision-making process. Kia believes it has found the winning combination that will dominate the class and make it a favorite among millennials. From first appearances, they may be on to something. While economy is important, so is the first impression. Exterior design is one of those areas that manufacturers can take shortcuts to help bring a car in at budget. With rare exceptions, subcompact cars have traditionally been considered boxes with wheels. Conventional logic says don’t mess with an area that’s already accepted by consumers as not that important. But millennials are not their parents, or grandparents. They do care about how their ride looks on the outside. Hyundai got the message loud and clear. These cars are not “cute,” they are stylish. Both the four-door sedan and five-door hatchback have lines that flow. The sculpted bodywork is an eye catcher and its slightly longer and wider body technically qualifies the Accent as a compact. When’s the last time you saw a hatchback with a functional, aerodynamically designed spoiler? The sleek, modern design gets a jewel-like projector headlamps with LED running lights. Sixteen-inch alloy wheels sporting low-rolling resistance tires and LED taillights add the finishing touches to a classy appearing exterior. Hyundai won’t be bragging about Accent’s 0-to-60 times, but the 1.6L GDI 4-cylinder engine provides plenty of punch for merging and passing. Rated at 136 horsepower, the four banger generates a respectable 119 lb-ft of torque. It’s coupled with a standard six-speed transmission or optional automatic with Shiftronic. All Accents with automatic transmissions come equipped with Active ECO System. It makes on-the-fly adjustments to the engine and transmission to optimize fuel efficiency. Performance is more than engine power. Handling on the Hyundai Accent is vastly improved thanks to a significant increase in the amount of high strength steel used in the chassis. Extensive use of structural bonding material makes the ride more solid and responsive. The stouter build is mated to a revamped suspension to give the Accent more agility and responsiveness. The overall effect is a sense of greater control particularly in maneuvers that place lateral Gs on the vehicle, like cornering. The Hyundai Accent is not a sport car (even though it has a “sport” drive mode) but it’s a far cry from being a loosey-goosey little box either. By adding driver-assist technology not normally found in subcompacts, Accent distinguishes itself from the competition. High-tech systems include autonomous emergency braking, lane change assist, a rear-view camera with dynamic guiding graphics and seven air-bags. At the heart of the Hyundai’s safety program is its Vehicle Stability Management (VSM) system. This software links and optimizes the active safety features, incorporating Motor-Driven Power Steering (MDPS), Electronic Stability Control (ESC) and Traction Control System (TCS). It’s all the stability features you want, controlled by one very impressive management system. Couple these features with the extra high-strength steel and you get significantly improved safety over previous model years. The 2018 Hyundai Accent is an entry-level vehicle that doesn’t look entry level. That’s best demonstrated by the interior. 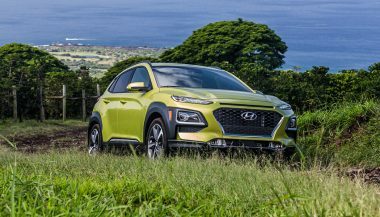 Hyundai upgraded all materials from previous years. The seats are redesigned to give extra support and to keep you snug and safe in the event of an accident. The overall look is contemporary and high tech. A standard 5-inch screen is integrated with the instrument cluster, giving the driver the ability to check the status of several systems. Or you can get an optional 7-inch touchscreen with features like Apple CarPlay or Android Auto. Audio is channeled through an upgraded six speaker system. The 2018 model is about an inch and a half longer and an inch wider than last year’s model, but it feels like a whole bunch more. 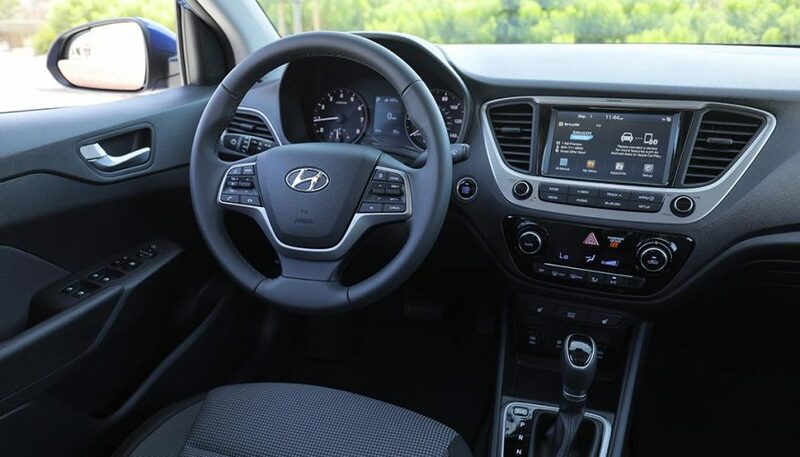 Spacious is not a term normally used with a subcompact, but that’s the impression you get from the Accent. Cargo space is also improved to a class leading 21.2 cubic feet. The rear seat has a 60/40 split giving the cargo area enough length to accommodate all your gear. 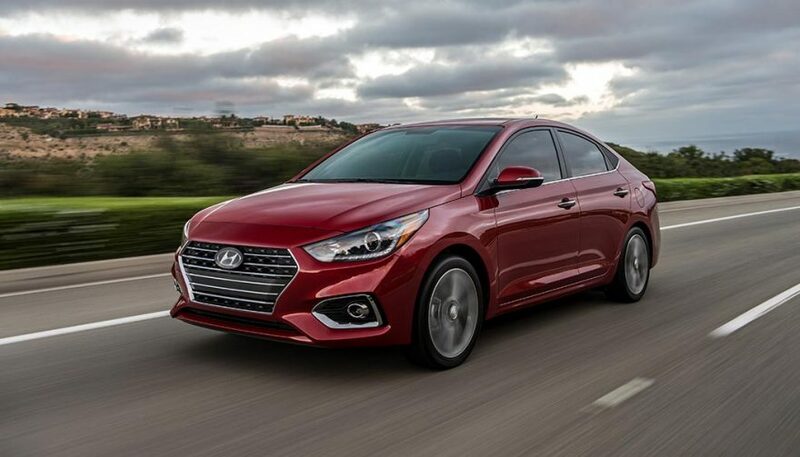 Value is the name of the game in this class of vehicle and the Hyundai Accent has plenty. Both the sedan and hatchback look more expensive than they are. The interior is more sophisticated and offers more features and functions than the competition. The addition of advanced autonomous safety systems is usually associated with a brand’s top models, not its entry-level vehicle. The engine is not a powerhouse but it’s more than adequate. And with 28 mpg city and 37 mpg highway it is inexpensive to operate. Hyundai’s 10-year, 10,000-mile warranty, roadside assistance and trip interruption benefits are hard to beat. 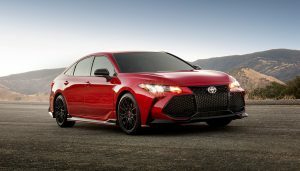 The MSRP for both the sedan and hatchback is equal to or beats that of the principal competition. The sedan is priced at $14,745 and the hatchback trim starts at $14,995. If you’re in the market for an inexpensive ride that gives you more than you expected, you owe it to yourself to check out the new 2018 Hyundai Accent. 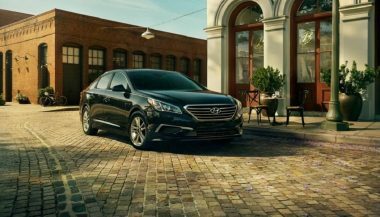 The Hyundai Sonata is a great-looking car, a solid performer, and amazing on fuel. The Korean automaker has come a long way since its U.S. debut. Toyota Yaris vs Hyundai Accent: Which Subcompact Is Best for You? 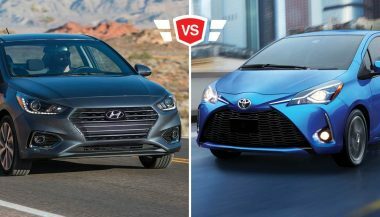 Let's look at a Toyota Yaris vs Hyundai Accent comparison, two subcompact cars that offer two very different approaches to affordable transportation.